Below you fill find all funeral homes and cemeteries in or near Sweetwater. Suburbs of Sweetwater: Claytonville, Palava. Sweetwater is also known as: Nolan County / Sweetwater city. Zip codes in the city: 79556. Sweetwater has been featured in films like: Midnight Cowboy (1969). Some of the notable people born here have been: Barry Windham (wrestler), Kendall Windham (wrestler), John Layfield (writer and wrestler), Joe Banyard (american football player), and Adam Langley (actor). 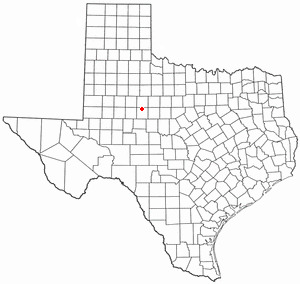 Sweetwater is the county seat of Nolan County, Texas, United States. The population was 10,920 at the 2010 census. It was noted by Register Guard on March 23rd, 2018 that Billy G Jones passed away in Eugene, Oregon. Jones was 82 years old and was born in Sweetwater, TX. Send flowers to express your sorrow and honor Billy G's life. It was reported on November 5th, 2017 that Phillip Roger Lewers died in Valrico, Florida. Lewers was 85 years old and was born in Sweetwater, TX. Send flowers to express your sorrow and honor Phillip Roger's life. It was disclosed on July 7th, 2017 that Mildred Naoma Bruce (Nelson) perished in Pocola, Oklahoma. Ms. Bruce was 95 years old and was born in Sweetwater, TX. Send flowers to express your sympathy and honor Mildred Naoma's life. It was noted on September 22nd, 2016 that Erin Lucas (O'Rear) passed on in Utah. Ms. Lucas was 53 years old and was born in Sweetwater, TX. Send flowers to share your condolences and honor Erin's life. It was noted on February 4th, 2016 that Christine Hamilton passed away in Montesano, Washington. Hamilton was 90 years old and was born in Sweetwater, TX. Send flowers to share your condolences and honor Christine's life. It was written by Topeka Capital-Journal on November 15th, 2015 that Francis O Warden passed away in Topeka, Kansas. Warden was 65 years old and was born in Sweetwater, TX. Send flowers to express your sorrow and honor Francis O's life. It was revealed by Arkansas Democrat/Gazette on April 14th, 2015 that Jo Ann Baker (Rosenridge) passed on in Searcy, Arkansas. Ms. Baker was 89 years old and was born in Sweetwater, TX. Send flowers to express your sorrow and honor Jo Ann's life. It was written by Arkansas Democrat/Gazette on February 1st, 2015 that Joy C Baker (Greer) perished in Little Rock, Arkansas. Ms. Baker was 89 years old and was born in Sweetwater, TX. Send flowers to share your condolences and honor Joy C's life. It was revealed by Hastings Tribune on October 24th, 2014 that Peggy A Moorhead (Brand) passed on in Hastings, Nebraska. Ms. Moorhead was 76 years old and was born in Sweetwater, TX. Send flowers to express your sorrow and honor Peggy A's life. It was written on May 24th, 2014 that John E McCabe passed on in Winona, Minnesota. McCabe was 50 years old and was born in Sweetwater, TX. Send flowers to express your sorrow and honor John E's life. In 1970, the field became the site of Texas State Technical College in Sweetwater. Sweetwater is the center of the Western Hemisphere's leading wind power generation region. Goldwater of Arizona and Colonel Bruce Arnold, late son of General Hap Arnold, persisted in obtaining their official recognition as military veterans. The population was 11,415 at the 2000 United States Census census. At Sweetwater during World War II, the Women Airforce Service Pilots were trained under the direction of the famed aviatrix Jacqueline Cochran at the former Avenger Field. Sweetwater is a city in and the county seat of Nolan County, Texas County, Texas, United States. The official website for the city of Sweetwater is http://www.cityofsweetwatertx.com. SWEETWATER - Otto Byrns "O.B." Freeman Jr., 86, died Thursday, Nov. 4, 2010, in a local care center. Graveside service is at 11 a.m. Monday in Texas State Veterans Cemetery in Abilene. Visitation is from 2 p.m. to 3 p.m. Monday at McCoy Funeral Home. Listing all funeral homes in Sweetwater, Texas so you can easily send flowers to any location (same day delivery) or find any funeral service. Funerals in Sweetwater, TX on Yahoo! Local Get Ratings & Reviews on Funerals with Photos, Maps, Driving Directions and more. Mc Coy, Dan - Mc Coy Funeral Home Incorporated, Sweetwater, TX : Reviews and maps - Yahoo! Local, 325.235.8666. Get Ratings, Reviews, Photos and more on Yahoo! Local. We work with local florists and flower shops to offer same day delivery. You will find budget sympathy flowers in Sweetwater here. Our funeral flowers are cheap in price but not in value.